Walking backstage at the Vivian Beaumont Theater is a little like entering a magical small town that’s been hidden away somewhere behind the mist—only with a giant cardboard cut out of Abraham Lincoln. 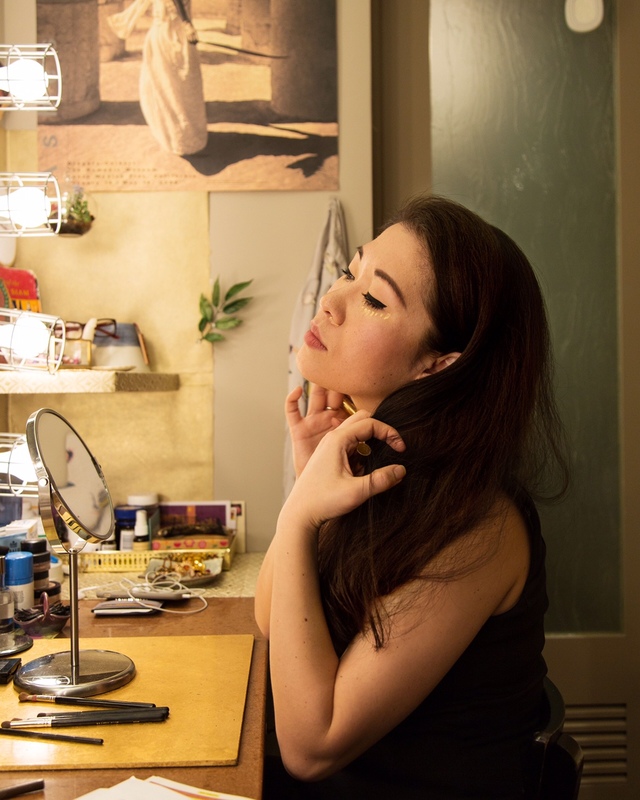 If you walk down one of the long halls, you’ll find the dressing room of Ruthie Ann Miles, who is currently playing Lady Thiang in Lincoln Center Theater’s production of The King and I. 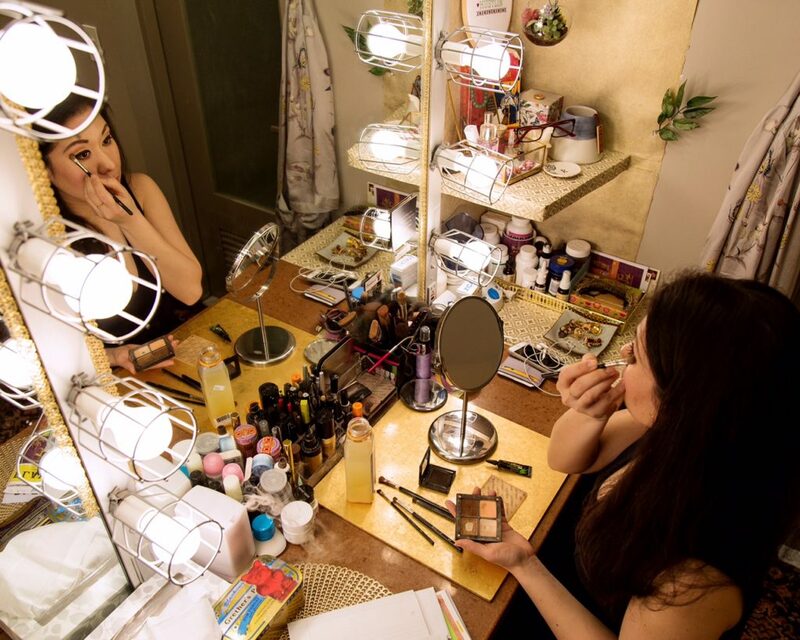 Her dressing room has been decorated, with the help of co-star/dressing roommate Ashley Park, to be warm and personal, and lose the cookie-cutter, austere feel of a utilitarian space. And this is perfectly fitting for the actress who uses it every night to transform into Lady Thiang of Siam. Ruthie’s layered and acutely rendered performance won her the 2015 Tony Award for Best Supporting Actress in a Musical. Prior to that, she gave a highly lauded performance as Imelda Marcos in Here Lies Love. 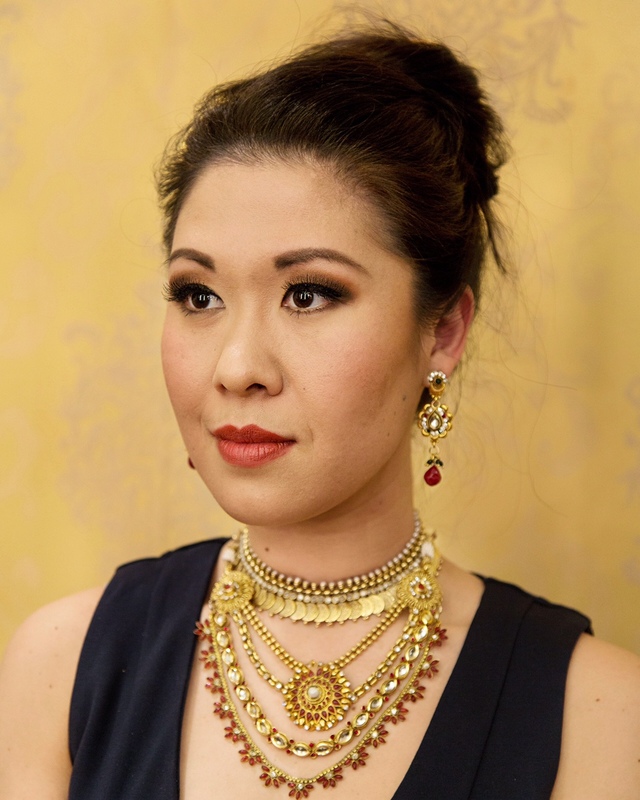 As she prepared for an evening performance of The King and I, we spoke to Ruthie about her process, how she creates her characters, how she found who she was as an artist, and much more. 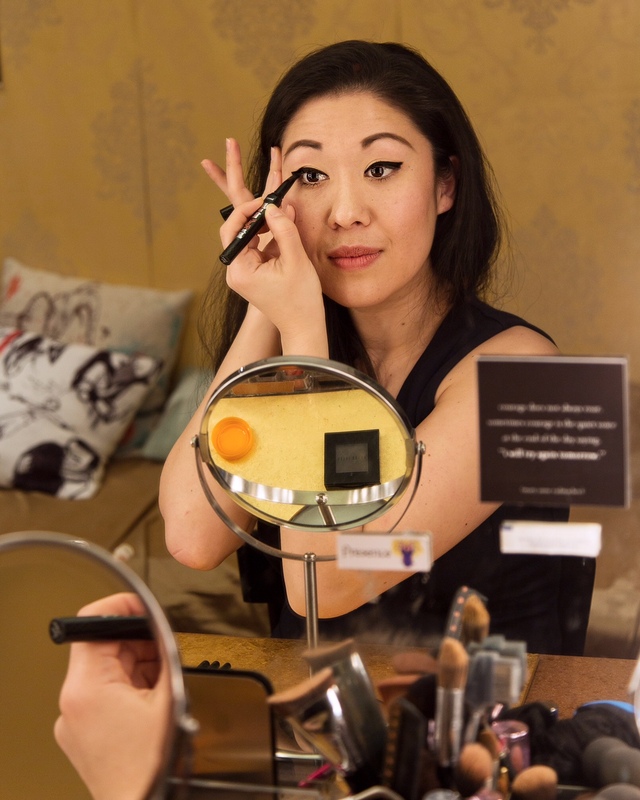 Since we’re here in your dressing room at The King and I, I wanted to start by asking what your process is like for getting into character each night? My process for getting into character starts at home. I have to start my voice at home. I have a toddler, and she doesn’t let me really sing, but she does let me do some vocalizing. So I have to start at home and then, as I’m walking to the subway, I start expanding and getting into better placement for talking. That way, when I get here, I’m not starting from scratch. But the first things that I’m doing are hydrating and steaming and getting my voice in order. Once my voice is in order, I can start on my body. Then I start my makeup and hair. Getting into character for me is going into makeup, because I start to see the Queen—I start to see Lady Thiang—and Ruthie melts away and there’s Lady T.
When you’re reading a script do you immediately start to envision the character physically? I start to envision her physically and I start to imagine the weight of her body, like how she walks and how she holds herself; those things are very important to me. One character might be very quick to walk and be very upright, but on her toes and very hyper and like a hummingbird. And another person, the gravitas might be very big so she’ll move slowly and she’ll roll through her feet. Part of it is subconscious, and subconsciously thinking about what her body is like. Then when I kind of put the last pieces together with the crown and jewelry and makeup, she kind of transforms. When you see a character on the page do you look for ways in which you are similar to them? I do. It’s easiest for me to picture who this person is, and then Ruthie starts to find the physicality of who this person is, so as I’m reading, I start to shift into that physicality. But I do have to see ways in which Ruthie is similar and ways in which Ruthie is very different. I think a trap for me is that I start to invest emotionally in a character and it starts to affect me, not the character. I have to know very strongly going in—and I can be surprised and change my list later—but I have to know this is how you’re similar and this is how you’re different. If I were to play Claire Underwood in House of Cards, I need to know very clearly this is how Ruthie is similar to Claire and this is how she’s different than Claire. The ambitions that Ruthie has are similar to Claire in this way and the ambitions that we have are very different in this way. I have to make these lines very clear. What is the message that I want to give when I do this? That’s important to me. What kind of redemption story do I want to give? What kind of liberation do I want to give to a woman or girl watching this show? The message I want to give is important to me when reading a play, and if I don’t see a redeeming quality, then my interest very quickly goes out the window. I do have to find how my daughter will watch or read this twenty years from now and be inspired. She has to learn something from it. For a long run, do you find you have to change your process? Or that it morphs organically throughout the run? It morphs. I’ve found that my character changes depending on who is the King, which is grand to see, but at the same time, I don’t know how much changing Lady Thiang is supposed to do if the story is the same. I think she holds herself in a different importance depending on the King and how much of a boy [the king is]—meaning childlike—versus someone who is very kingly, but has the emotional outreach of someone who has too much on his plate. So I take her responsibility and it changes my performance. I wanted to ask you about the cast changes as well, and how that affects your performance. It changes. It has to change. Every King who has come in is so different and they haven’t had the same rehearsal. For example, Ken [Watanabe] started rehearsals with us in the very beginning, and just a few months into the run he had a movie contract that he had to honor, so we lost Ken to that. Jose [Llana] was the next King and he had done [The King and I] twenty years ago in the 1996 revival, so he was very familiar with the show and had a great mentor in Lou Diamond Phillips. In some conversations, he’d say he was really looking up to his big brother, to Lou. Then Hoon [Lee] came in having done [the role of] Kralahome many years ago, but not having had the same rehearsal as the other guys. So it’s adapting to what they bring and not getting any rehearsal with them. Do you have any rehearsal with them or just the put-in? They have their week or two or three that they rehearse on their own in the basement of the theatre with an understudy, if they’re lucky. And then they have one rehearsal, a put-in with the company on a Thursday before they go in on a Tuesday. I could be crazy, but I imagine that it could be interesting to have the experience of finding something with another actor in front of a live audience. Absolutely. And it doesn’t happen over one show or two shows, it happens over one or two weeks. It’s been really delightful to see, “Oh my goodness, the relationship is going to be like this for this person, and that for this person.” It’s exciting to see it bloom that way. I’ve read in other interviews that you have a whole analogy with Hillary Clinton and Lady Thiang. Oh, yeah. It was wonderful that she did come to see us. So I did have a bit of a moment when I found out she was here. In my auditions, I had this preconceived notion of what the submissive Asian woman was supposed to be like in 1865, and I went in and she was a very mild temperament. I think the breakdown called for “strong and loving”—something like that—so I was like, “’Strong and loving…’ so she’s meek and mild with a steady temperament, and royalty mixed in there.” I wasn’t sure what kind of voice he [Bart Sher] was actually going to give these people. I didn’t think about it in political terms or relevance to 2015. So I went into my auditions meek and mild, and Bart was like, “Stop! Stop! What are you doing?” and I was like, “I’m reading the script.” And he was like “Lady Thiang is Hillary Clinton. She’s Imelda Marcos. She’s the strongest powerhouse in that kingdom except she’s not allowed to say a word. So she has to zip her mouth and watch things like chess pieces.” And that’s exactly what Lady Thiang does. She just does this [mimes moving a chess piece] and then watches what happens from that little movement, and that’s how she plays the kingdom. That’s been really fun for me with the Kings as they maneuver their way. And so, after that, it blew my mind that he was going to give her that much weight, but not more lines, because we can’t give her more lines; we just have to make her that important, that strong, maybe Machiavellian—not evil, but very smart—and loving. All of those things that were already in the breakdown, but we’re making her more without adding any lines. Okay, how are we going to do this? So he goes, “Go home, think about it, stew on it.” So I came back and brought something else and he was like, “Why is she so angry?” “Well, when I’m strong, I’m angry.” Now, Bart’s stepfather is Chinese from Hawaii, and so through his stepdad, Bartlett Sher, this white Jewish guy, has this whole side family of Chinese people in Hawaii. So he was like, “Let’s sit down and talk about our families.” I started talking about people I know from back home—also Hawaii—and he started talking about people he knows. And it was interesting, because we found our aunties together, and this kind of auntie and that kind of auntie, and we slowly found who Lady Thiang was. He introduced me to who Lady Thiang was, and she was a very real person who maybe I already knew, not only in myself, but a version of my mother and my grandmother and all of these strong women that I already knew. Then all you have to do is put her in the White House or Siam, put her in the kingdom and give her a crown, and we found who she is. It’s interesting what you’re saying in terms of all the adjectives used to describe her and how they all have different baggage depending on what people bring to them and what female archetypes have been present in the media. Bart was changing the definitions of things that I thought were supposed to mean a certain thing because I’m a woman, and because I’m an Asian woman. And we’re taking this back 150 years, so I was like, “Obviously, it’s supposed to be this kind of person, so that’s how I’m going to play it.” And he was like, “Nope, nope.” He came back a few weeks ago after watching the show a few times in a row to get a good read on what we’d been doing consistently, and he held a notes sessions after a Friday performance. We had a notes session talking about the relevancy of the show, not to 2015 but to 2016, and how are we going to make this relevant now, to what’s happening now vs. last year. From 2015 to 2016 a lot has happened, but we move so quickly through it that we don’t really see it. But we have to make it relevant to now and the politics of now. But slight changes that have happened in real time, we’re also making in Siam to make it relevant to the audience. When you approach a song, are you music or lyrics first? I think I’m lyrics first. That’s hard, but I think I’m lyrics first. I think I’d like to be music first because of the music training I have and how much music speaks to me. Music makes me emotional more than words do. [Hums “Something Wonderful”] When it goes from high to low and then it’s one note—why is it one note? She’s driving home something. She’s taking an arrow and a bullseye and letting it slowly fly on that one note with different syncopation to Anna. And so music does affect me, in a different way than lyrics, so I’d like that to be where I go to first, but since I’m reading usually before I can hear the music, lyrics tend to be the first thing I literally see. Are you visual with music? Yeah. When you get a script, typically the music is in the back, so you read the lyrics first and you start to see it as, “Oh, it scans this way, it breaks down this way.” But I think I’m going to make it a goal of mine to go to the music first and see where the melody goes and why the tempo was written this way and why the orchestra is doing this under me. I think that might inform me in a different way. Do you have a dream cultural collaboration? I think the fight is still to just let us be Americans. Not just Asian people who live in America. But Americans who look Asian. I think the fight is still, let me play a version of me instead of a stereotype. Has that been an added pressure with doing press? After the Tonys, there was attention for me being the first Asian in the supporting category [Ruthie won the 2015 Tony for Best Supporting Actress in a Musical]. B. D. Wong won for leading male and Lea Salonga for leading female. So there was a lot of attention for that and rightly so. [But] there needs to be far more representation—and not just Asians on stage, but in roles that are meaty and could be considered for that kind of attention. But after the Oscars there was a whole new wave of our thoughts on diversity. One thing I ask actresses about a lot is what it’s like to be young and developing as a person, but also be in an industry that spends a lot of time telling you what your type is, who you should play, what you’re good at, what you’re not good at, and how that affects your artistic and personal development? If I listened to who the industry said I was or was not, or told me what I could or could not do, I shouldn’t have graduated and I should have picked a different career. I am far too stubborn to be told what to do, but even so, I think I have a natural tendency to swim against the current anyway. The more challenging the more fulfilling. That being said, I think it’s key for actors to know what our marketable “type” is, but more important is to not allow that information to pigeonhole us. Meaning, know your strengths and natural gravitation toward certain types of characters and plays (you’ll know your inclination is correct because these will be the roles “They” hire you to play), but also explore different characters and be excited by that challenge. The wonderful thing about theatre while you are in school is being in that learning environment, where nobody knows who they are, everyone’s on the same playing ground, and everyone is studying the same material in class. It’s okay to not “know who you are” when you’re in school, or even when you graduate. That’s going to change a lot anyway, your whole life. I think the goal is to be honest with who you are in that moment, imperfections and all. You give that in your audition; the best version of yourself – just as you are. We’re about to get real personal. I grew up in Hawaii where everyone looks like me. Everyone is Asian or Polynesian. So we have versions of me and darker versions of me. Caucasians are the minority. So the idea of being different or being represented differently on stage in the mainland never fazed me. It was like, “That’s a bridge I’ll cross when I get there.” When I got to college, I was at Southern Oregon University where the Ashland Shakespeare Festival is, and we have a lot of Shakespeare, and all of our professors are actors and directors at the festival. I was one of three or four Asian people in the department—not just minority, but Asian—and we were all cast [in the shows]. It wasn’t like I had to think about my race in any specific way. I was cast in Cabaret and all the one-acts. It really was about the potential of what an actor could do, and that was really encouraging and no dreams were popped in undergraduate. I transferred to another school for undergrad, and I was the only Asian person and I was never cast. My abilities didn’t change. It could have been because I was a transfer and they didn’t know what I could do, but I wasn’t cast. I was Ensemble Member 45. When I came to NYU for grad school, I was one of three Asian people in a class of twelve, so it was like back to normal again, and it seemed like it would be back to normal again when it came to casting and that it would be about what a person could do. But we started to have a dialogue about type and what you look like and what your abilities are and what your strengths are. I had a professor tell us in a business skills class, don’t pound the pavement, don’t go after every audition, you’ll waste your energy and time. Pick the thing you’re the right type for. Are you the quirky best friend? Are you the ingénue? Are you a really strong swing? Are you going to be a solid ensemble member? And I was like, “That’s me. I’m not the ingénue. They will never cast an Asian person as the ingénue. Maybe the quirky best friend, but that will most likely go to a person of a different race. But ensemble I can do. That’s my strength.” And the first thing I auditioned for was Annie and I was in the ensemble. They put me in a blonde wig and I was a Boylan Sister. And the second thing I auditioned for was Sweeney Todd, and I played Pirelli, and I played the accordion, the flute, and the piano, which was probably why I was hired. They put the race card out the door because I could play the instruments and sing the part. After that, I did Avenue Q, but after Avenue Q I had a hard time getting cast. It was always these weird roles. These Asian roles that were just not me. and for the first time, I had a really hard time finding my niche. It was like, “Oh it seems like my special skills have gotten me my jobs. Maybe that’s what my niche is? Having a special skills list that’s long.” It wasn’t until Here Lies Love came along and they were like, “We’re just casting you—just a version of you. You don’t have to play an accent or instrument—you just have to play a version of you.” So that gave me confidence in a way I had not experienced before. What does that do to your confidence? Especially when you’re being asked to choose things about yourself when you’re still trying to figure out who you are? Maybe you’re making choices about yourself based on other people’s notions of you, and missing out on other things you could be exploring or learning about yourself. When I was in school, I was on anti-depressants and beta blockers for anxiety because I didn’t know who I was and I was trying so desperately to play all of these other characters, but I didn’t know who Ruthie was. And I was seeing a therapist and just like, who am I? I don’t have myself yet, how am I supposed to dig into someone else? And so what I had found I had done, inadvertently, was built up a wall around myself to protect Ruthie and then try to be an actor outside of that, and put on a mask and try to be this person for you. What I didn’t know until grad school is that’s impossible. It is impossible to speak to an audience if you have these walls put up and the audience can’t even get a taste of you. 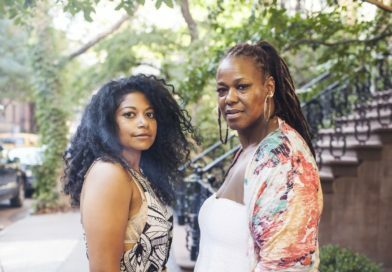 So in grad school I had a professor who was like, “We’re going to tear your walls down because we need to know who you are.” I took it as a huge offense and that he was out to get me, he didn’t believe in me, he didn’t want me to succeed. And after all of my walls came crumbling down and I was naked and vulnerable with my crumbing castle, could I see myself as I was? You cannot speak to an audience unless you’ve found that place. And I think it’s unfair to ask a nineteen year old to be naked and vulnerable with the walls crashing down around you, I think it does take life experience. 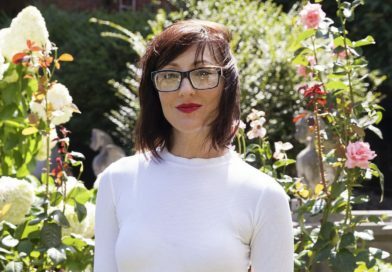 I think it’s important to be honest with oneself in the learning process—and you’re going to be in the learning process for decades—I think it’s very important for students to be gentle with themselves and honest with themselves, and try to be as open as possible, and I say ‘as possible’ because it’s a very difficult thing. So if it means you have to weep through your class, weep through your class. If it means you have to go to a therapist and talk about things like mental health and experiences that have caused you to build this part of your wall, talk it through and experience that. I became a better actor after I was a mother because that taught me something. I had given birth to my daughter five weeks before rehearsals for Here Lies Love and I had a long and traumatic birth experience, so that was a wall I put up for a long time and I wasn’t able to address that till a year after the first Here Lies Love performance. You’re constantly going to be building walls and tearing them down, and it’s hard to do that when you’re younger, so you have to be especially open to change and positive, constructive criticism. The more open you are, the better it will be for you personally, for your classmates, and for the audience. I think it’s important for writers and directors to view women in a way that gives women power on the page. I think it’s important for women, when they’re reading a script, to stand up for themselves. Because a writer can write a powerful character on the page, but it takes a kind of guts for an actor to come in and say, “This I read true and this I read false. These are things we need to change so we can have a picture of a strong woman.” And I think it takes a lot of pushback. When an actor and agent are talking about a particular project, I think it’s important to say, “Why does that have to be played by a male? I can see that being played by a woman.” I think that’s a conversation that can happen at the creative level. Why does this have to be played by this type of person? I think dialogue is part of that, but also pushback, and I think we’re starting to see that. I think we’re at a really exciting time. 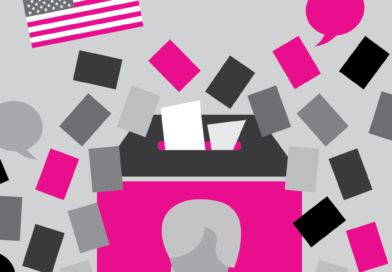 We have a lot of new players on the field and a lot of eyes being opened, especially by what’s happening on the political field and seeing, “Oh my goodness, this runs so deep, and we’re going to break down these walls.” You’re seeing America stir in a way that I think is hopeful and exciting. We have an uphill climb, but a really exciting uphill climb. 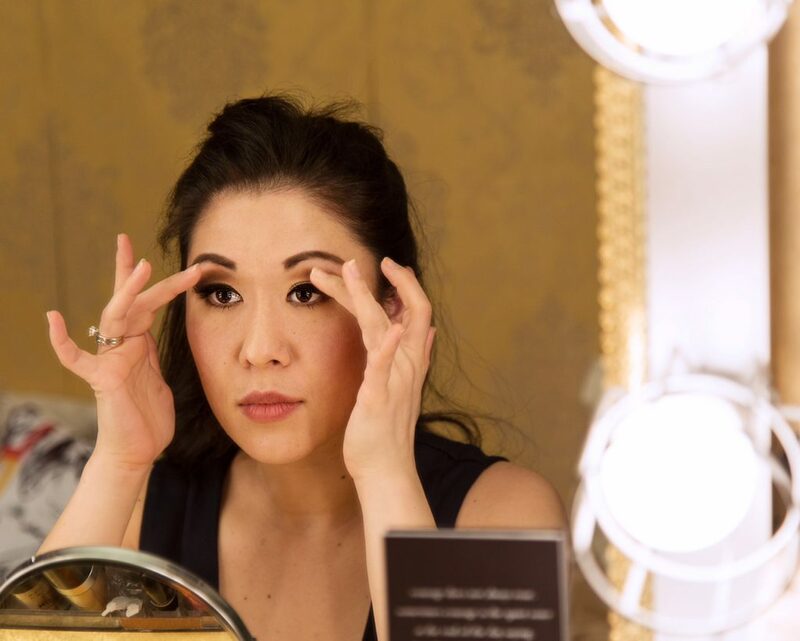 You can follow Ruthie on Twitter: @RuthieAnnMiles and Instagram: @ruthieannmiles.